This year marks the 12th anniversary of Life Insurance Awareness Month (LIAM), an effort to raise awareness among consumers and producers about the need for life insurance. Americans by and large aren’t saving much money and many households are still mired in debt. Many see value in life insurance, but less than half have individual life insurance policies. Now more than ever, it is vital that consumers protect their financial security. 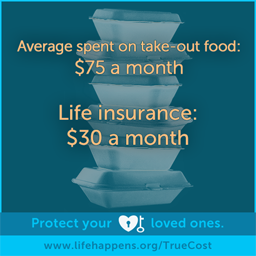 Life insurance has been providing this kind of protection to Americans for more than 200 years. BUT THE TRUTH IS: More than 40% of Americans have no life insurance, according to the 2015 Insurance Barometer Study by Life Happens and LIMRA summarized below. Among the findings, cost is the reason most Americans give for not owning life insurance, yet 80% of consumers misjudge the price for term life insurance, with Millennials overestimating the cost by 213%, and Gen Xers overestimating the cost by 119%. The study also found that nearly one-third (30%) of Americans believe they need more life insurance and more than 2 in 5 (43%) say they would feel a financial impact within 6 months if the primary wage-earner died. However, the majority of Americans (54%) say it is unlikely they will purchase life insurance within the next 12 months. For more information on life insurance and how it can be the best purchase you make this month (or this year) get in touch with the Arizona life insurance experts at DeWitt Risk Management Consultants today.